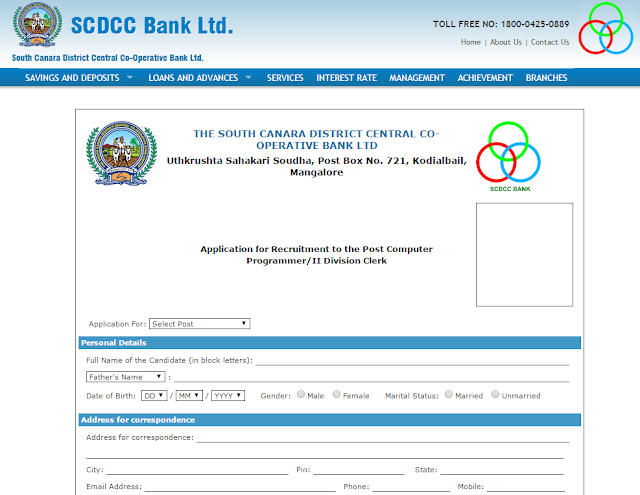 Home / clerk / Programmer / Recruitment / SCDC CO-operative Bank / SCDCC Bank Recruitment 2018 for Second Division Clerk, Apply Online! SCDCC Bank Recruitment 2018 for Second Division Clerk, Apply Online! SCDCC Bank Recruitment 2018 for Second Division Clerk - Get here complete detail of notification, eligibility criteria, Vacancies details & application fees etc. (SCDCC) Bank Programmer & Clerk 2017-18 Official Notification Out! 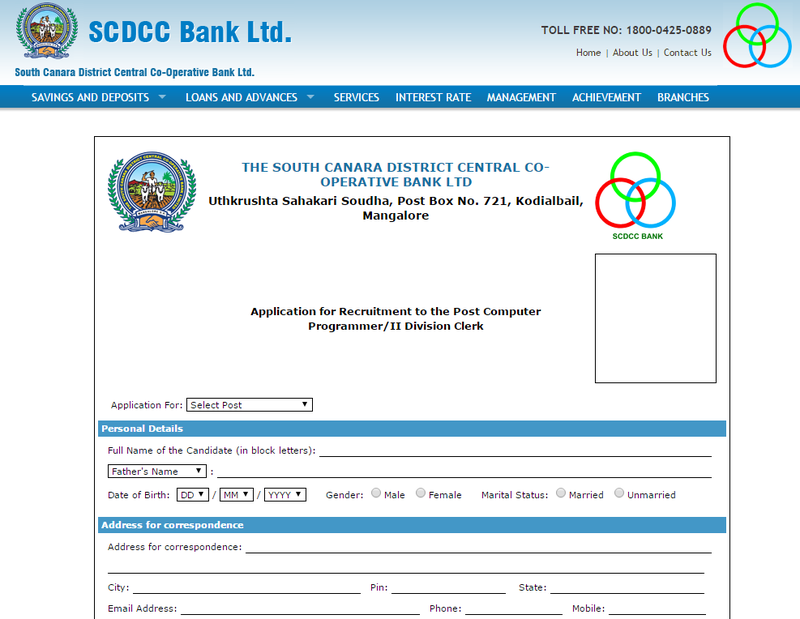 South Canara District Central Co-operative Bank has released the official notification for the recruitment of Second Division Clerk and Computer Programmer 127 posts. Check below details and apply online. Degree from a recognized university , 50% marks and above (aggregate of 3 years). Post-graduation degree with a minimum of 45% marks and above (aggregate of 3 years). Diploma in Computer Application or any other computer course of 6 months. Preference will be given to candidates having degrees of B.Com, BCA, BBM etc or having work experience in DCC or Urban cooperative banks.